Annapolis, Maryland-based Epic Optix, along with partners Textron Aviation and Banyan Pilot Shop, is launching a $1,999, full-color head-up display (HUD) for general aviation aircraft this week at the Sun ’n‘ Fun Fly-in in Lakeland, Florida. Dubbed Epic Eagle, the portable HUD runs off of aircraft power and sits on the glareshield. It receives data via Wi-Fi from an Apple iPad or Android tablet running “any type of electronic flight bag software.” The HUD can thus mirror data from software such as Avidyne IFD100, ForeFlight, WingX, Garmin Pilot, and Appareo Horizons for Stratus, Epic Optix said. According to Banyan Pilot Shop (Booth N88), the Epic Eagle HUD increases cockpit safety and efficiency in virtually all phases of flight and environments. “It creates improved situational awareness, reduces potential vertigo, reduces head-up to head-down transitions and provides earlier approach stabilization and visualization of intended point of touchdown,” Banyan said. The Fort Lauderdale, Florida-based company will be demonstrating the HUD at its booth during the airshow. 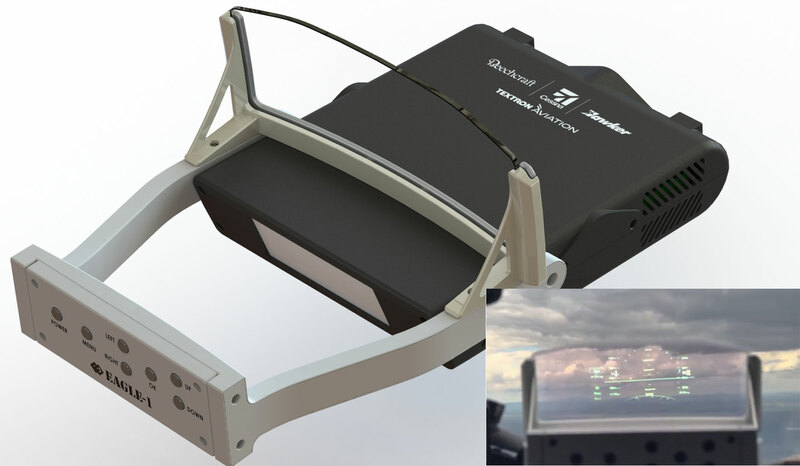 After several months of in-depth evaluation, Textron Aviation joined Epic Optix to offer the Epic Eagle HUD with a unique part number through the aircraft manufacturer’s parts department. During Sun ’n‘ Fun, Textron chalet visitors can interact with the HUD in its Cessna 182 Skylane demonstrator on static display. Banyan Pilot Shop will also hold a live drawing on Saturday morning for an Epic Eagle HUD, a Stratus 2S ADS-B In receiver, and a Stratus Power USB port.